Odin | German Shepherd Dog in Los Angeles . 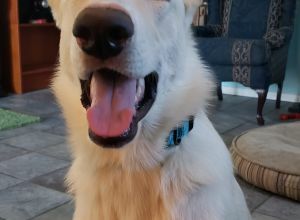 My dog is a happy 5 to 6 month old white german shepherd whose friendly with people and dogs, but also very mischievous, and still working on training. He likes sticks, balls, walks, the dog park.